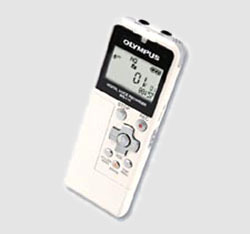 Olympus WS-110 Digital Voice Recorder - On or Off? 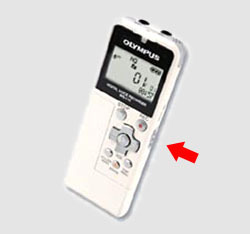 Where is the "on" button in the Olympus digital recorder WS-110 DNS Version? The WS-110 Recorder does not have an "on" button as such. The "HOLD" slider on the side serves as an on/off switch. There's more about the Olympus Digital Voice Recorder and how Voice Recognition Software can help save time for you in our Product Reviews section. Return from Olympus WS-110 to the Photography Tips page.